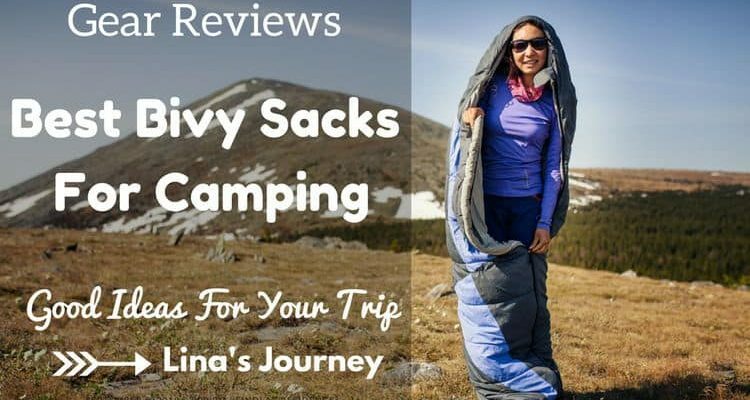 Blog » Camping » Tips & Tricks » Gear Reviews » The Best Bivy Sack For Your Camping Trip : How To Choose? Bivy sacks offer the best comfort for camping fanatics. Sleeping out in the tents has never been more fun! With just the right amount of space and warmth, bivy sacks rank top in sleeping bags available for purchase. Depending on your preference, users find different bivy sacks suitable for various environments. In choosing between bivy sacks and tents, I prefer taking bivy sacks for their immense benefits compared to the former. This list highlights the best bivy sacks available. Which Is The Best Bivy Sack Suited For Your Camping? Editor's Picks Here! The Outdoor Research Alpine Bivy comes at an affordable price. It has an overlapped zipper that allows free breathing without letting in external objects. This feature allows for peaceful nights whenever one camp. The bivy sack also has a respiratory positive fabric that serves to keep out rain or snow, and at the same time prevents condensation that may occur as a result of rain or snow drops. With a single pole, one can create an overhead space. It may also be preferable to leave the pole at the trailhead to make the sack lighter. I find this bag the best of all the bivy sacks around for its extreme convenience when it comes cold camping environments. Should you find Outside Research Alpine Bivy expensive or too small, the MSR AC Bivy Sleeping Bag offers a suitable alternative. Its price is slightly lower than that of the latter. It has a good breathing space and is lightweight- carrying around on your trips should not be a problem. It has an envelope style opening that enables simple entry and adds to its lightweight nature. For easier access, MSR AC Bivy has an opening that is strategically placed to fit the face area. Persons with large feet find the sleeping bag extremely comfortable; it comes with a 3D foot box that creates the extra room needed for feet. Aqua Quest Mummy Bivy Sack - Waterproof - Green or Orange is quite a convenient bag for cold weather provided one carries a sleeping bag along. Sleeping bags offers an addition 5 degrees Celsius protection. This bivy sack weighs 1.26 lbs which is considerably light. The bag's waterproof rating is 10,000 mm which is excellent for a bivy sack of its nature. The Aqua Quest Mummy Bivy Sack made of ripstop fabric, heat taped seams, and laminated PU coating which is 100% waterproof. It can also be compressed to a considerably smaller package for travel. Setting up Aqua Quest Mummy Bivy Sack is fast and easy; all you need to do is to remove it from its package, spread it on the ground, then insert a sleeping bag inside. The Aqua Quest Mummy Bivy Sack also comes with two zippers for easier access in and out of the sack. For scouting or just camping, the Military Modular Sleep System 4 Piece serves best. It comes with a Goretex Bivy Cover and Carry Sack, providing the extra support necessary for Scouters, whether in mid-range or adverse weather. Apart from the Goretex Bivy cover and carry sack, the Military Modular System 4 piece comes with two mummy style sleeping bags. These bags are durable and lightweight, thus easy to carry around. The sleeping bag is made of a material with the ability to withstand any form of fire. The largest of its kind is 80” long, and 34” wide and the bag is 22” long by 14” wide when folded. The bag is usually rolled in a nylon sack which is water resistant. This bag is one of a kind for it comes in different colors that blend into different environments. By using aluminum poles, Chinook Summit Bivy Bag stands out as one of the most comfortable sleeping bags yet. It is made of a fabric top that makes it waterproof and provides suitable breathing space. The Chinook Summit Bivy Bag is also made of a bottom material that is waterproof (Ripston Nylon). Also, the sleeping bag has roomy foot box to provide comfort to campers of different foot sizes. With this sleeping bag, you’ll never have to worry about your feet not getting the support it deserves. The Chinook Summit Bivy Bag is made up of material that makes it lightweight, with a weight of only 32 ounces. Accompanying is mosquito netting that allows campers peaceful nights in mosquito infested areas. Contoured hood provides space for the head while asleep and can be used as a pillow case too in some cases. Compared to other bivy tents, Snugpak 92860 Stratosphere is much smaller. This tent is made of alloy stacks with minimal weight thus making it portable. There is plenty of space in the head region, making the tent comfortable to sleep in during any occasion. The Snugpak 92860 Stratosphere is a one person tent with the right structures to make one’s stay comfortable and enjoyable. Personally, I find this kind of tent convenient for hiking. It has a good breathing space and is spacious; twisting and turning in the tent may not cause any form of wreckage to the tent. Due to its small nature, the Snugpak 92860 Stratosphere does not accommodate extra luggage inside. It is, however, conducive for cold overnight camping, made possible by its material which makes it waterproof. Doesn’t allow accommodation of extra luggage, e.g., backpacks. Aqua Quest Hooped Bivy Tent - Waterproof - Green or Orange is a suitable sleeping bag for solo expeditions. Just as the other sleeping bags, this kind is made of lightweight material that makes it portable. It goes for a price not so expensive which is quite affordable. Comfort is also guaranteed in the Aqua bivy tent as it is designed by the right material that achieves the desired comfort in sleeping bags. Just as the name suggests, Aqua Quest Hooped Bivy Tent is waterproof and doesn’t allow any internal condensation to occur. The bivy tent is easy to set up; its parts are elaborate and should not be a problem fixing together. Also, it is well compacted and offers just the right amount of breathing space. The bag has zippers which are easily accessible, so users who prefer sleeping with the head open do it at their convenience. I recommend this bivy cover for adventure trips in the wild or camping out in the cold. This sack is a component of the military modular sleep system, Woodland Camouflage Waterproof Bivy Covers intermediate cold weather sleeping bags and has been designed to fit the compression sack. It is made of GORETEX Bivy cover that is fully waterproof and an insulator, preventing loss of heat from the sleeping bag. Woodland Camouflage Waterproof Bivy Cover has a good breathing space and is made of lightweight material that can easily be folded. Also, the sleeping bag is easy to set up and quite convenient for one man expeditions just like other sleeping bags. It has the right amount of space for leg fitting and has zipper fits that are easy to slide up and down. The bug bivy has a mesh that stands a distance away from the main compartment, serving to keep mosquitos and other small bugs away. This mesh is usually held by a single pole, with the head section more spacious than the foot region. A waterproof floor is fixed to keep the bivy from soaking. The Outdoor Research Bug Bivy is made of materials that make it lightweight. With 100% polyester, comfort is guaranteed in the bug bivy sack. This kind of bivy bag is suitable for hot environments which experience minimal rainy seasons. The hood is however bound to fall over once too often, and while sleeping, you may find the side of your limbs touching the netting. This defect may expose the legs to some external vectors. It is thus necessary that the pole is fixed as tightly as possible and the limbs are covered by a light blanket most times. Has a mesh that protects from mosquitoes and other small insects. Outdoor Research Helium Bivy lies in sleeping bags with a limited budget range. I find this kind of sleeping bag the best for average consumers as it serves perfectly as a sleeping bag. The sleeping bag is made of Pertex Shield fabric that gives it its waterproof nature. The fabric is also a major contributor to the ample breathing space felt in the sleeping bag. Outdoor Research Helium Bivy is made of materials that are durable, so there is no need of worrying about replacing your bag now and then. It best suits solo expeditions as it is lightweight thus portable. I recommend this sleeping bag for adventurers on a small budget yet looking for the best outdoor sleeping experience. Take these tips on choosing just the right bivy bag that is sure to provide you comfort and protection in your camping. While camping in cold or humid areas, it is advisable to have Bivy bags with Gore-tex fabric. This material ensures the vapor from the body is moved out, and heat regulation is maintained. It is also advisable to bring along enough overlapping material in rainy areas. One can also vent the zippers manually to allow heat circulation to spread inside the sack. Considering tightness level is important in choosing the right size of bivy sack that best fits you. You don’t want to take home a bigger or smaller bivy sack that doesn’t fit your size. Make sure to get the correct measurements of the person you might be buying the sack for at all times. As much as bivy sacks have a larger head and leg room, one may at times find it cumbersome fitting into it. Fix the poles in just the right way; this might offer more space should you find yourself not fitting in. Elevating the tent just a little higher provides an extra amount of space too. Should you find yourself not comfortable in any bivy sack available, consider moving to a tent. Bivy bags differ in costs. Depending on the quality of the material used, you’ll find some bivy bags more expensive than others. As aforementioned, Outdoor Research Alpine Bivy is the most expensive, with a price of over $200 tagged to it. You can, however, some money yet still experience the best of bivy sacks by opting for MSR AC Bivy Sleeping Bag (over $150), or Outdoor Research Helium Bivy. Live within your budget and get the desired bivy sack at an affordable price! Bivy sacks are made of fabric that is lightweight, making it quite easy to carry around. Unlike tents, bivy bags can be taken in hand while walking to the camping site. Consider having a back pack to take your bivy sack though; this is quite convenient. When sleeping in wet areas, bivy sacks offer excellent protection. The material stops running water from beneath getting into the bag, making it a conducive stay while inside the tent. It is important to check the bivy bag well for pores or other damages. Should you discover that your bivy bag has some damages, later on, various stores offer a warranty, so replacing is usually easier. This waterproof feature serves a great deal in emergencies too- you never know when the rain may fall- so it is imperative to consider it in choosing a bivy bag. Bivy bags offer incredible internal comfort. The outdoor research bug bivy is well suited for protection against mosquitos and other small insects and has a large headspace. In infested areas, consider carrying this type of bivy sack. Bivy sacks are made of a material that offers great comfort to campus. Choosing your most comfortable sack should not be that much of a big deal. If you feel it, take it. Before using the bivy sack, read the instructions first. Make sure the ground in which you plan to lay your bag has an excellent terrain and is free from spikes and thorns. Setting the poles might be an uphill task at times; with the proper guidance, you’ll go through it without a problem. Carry along a sleeping bag for extra comfort should you be going to a cold place. Brace yourself with warm clothing and heat up the tent in the right manner. Kept away from the heat at all times. Store in sealed packages and unwrap carefully when they come to use. Carry in backpacks; suitably used by hikers who plan to pitch up tents on mountains (They are lightweight). When it comes to setting up the bivy bag, unpack the sack from its wrapper, spread in on the ground, and then afterward raise the right parts up and pitch them steady using the poles. Poles may at times fall, so it is important to tighten their grip. After using the bivy sack, fold it back in its wrapper. Make sure not to over-fold; this may damage the bag. Outdoor research alpine bivy stands out as the best of bivy sacks available. Its comfort is not measurable, waterproof level outstanding, and it serves best in almost every environment. Though expensive than the rest, Outdoor research alpine bivy is undoubtedly the best of its kind. It can’t be compared to other bivy sacks for it touches on all the requirements needed for a good bivy sack. Respiratory positive fabric serves to keep out rain or snow, and at the same time prevents condensation that may occur as a result of rain or snow drops. This sack is good compared to other bivy sacks, which may lack a way of keeping out external objects. I highly recommend having the outdoor research alpine for the best camping experience. Please share this article with anyone you know who is looking for a new pop up tent.